On to Mongolia, Tender Sapling Travelers! 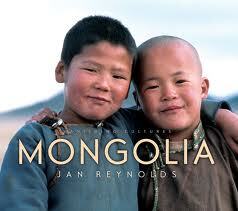 While our family had studied Mongolia in prior years, this year brought us new discoveries. We were immediately transported by the vibrant images of nomadic life in Mongolia, another Vanishing Cultures book like the one we read for Norway about the Sami peoples, also written by Jan Reynolds. I wish I could express adequately how entranced my kids – ages 2 to 9 – are with the Vanishing Cultures books. We’re talking immediately-stop-bickering-with-your-sib-and-pile-onto-the-couch-with-smiles attraction as soon as I pulled the book out! The visuals draw the reader in to another world, making it theirs for a brief while. Life told through the eyes of a child their age helps bridge the cultural gap, filling their minds and hearts with the universal experiences of other children, in this case expressed in a Mongolian setting. Speaking of visuals that transport you to another place, my tender saplings also enjoyed watching Wild Horses of Mongolia. This PBS production features Julia Roberts’ journey to the steppes of Central Asia to get to know a nomadic Mongolian family and their wild horses. One of our favorite parts is watching the young Mongolian children astride their wild horses, at one with nature. See the end of this post for another video recommendation and a list of books we enjoyed in our “trip” to Mongolia. There are so many wonderful ones! 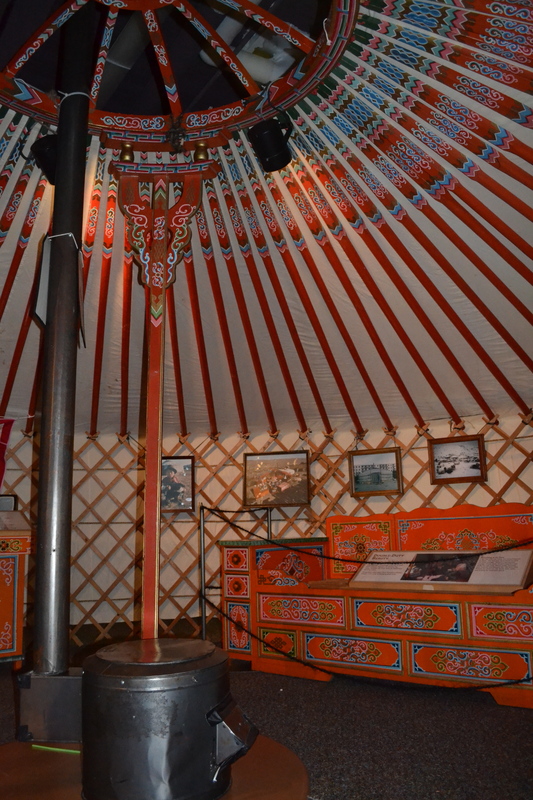 As a nice follow-up to the book and video, we read a few books about gers (Mongolian word for yurt) – a portable, round house used by Mongolian nomads. Some books covered details of how gers are built, while others focused on life in a ger and even protocol in terms of guest treatment in the ger. 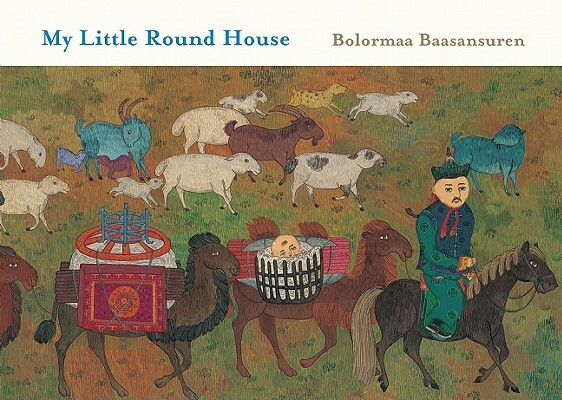 Our favorite one is My Little Roundhouse by Bolormaa Baasansuren. It is a beautiful book about ger life told from a baby’s perspective. Then we visited the Science Museum of Virginia to explore a ger that was the highlight of a building exhibit. It was great to climb inside the structure and examine the framework, furniture, and fabric cover. We had to use our imaginations to improve the view from the ger, which in all the books and videos we’ve seen is so stunning – unbelievably wide expanses of sometimes barren, sometimes lush land that often leads to mountain ranges in the distance. 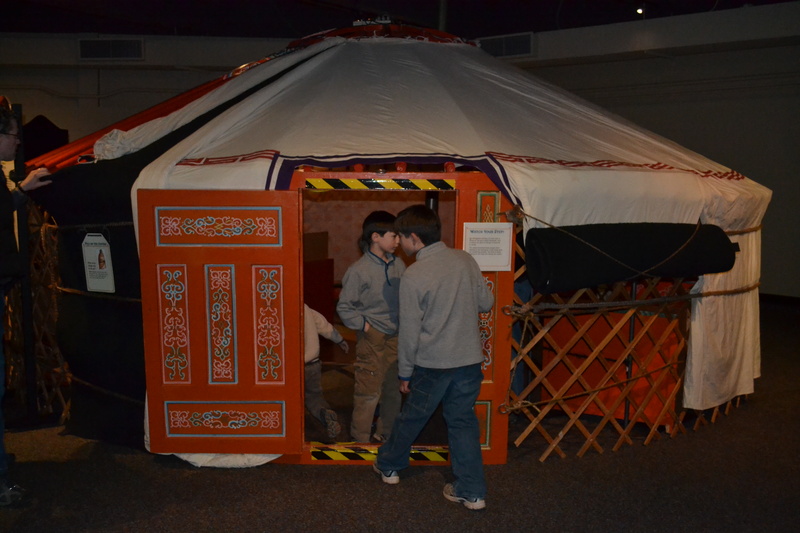 Exploring a Mongolian ger at the Science Museum of Virginia. Babies, by Thomas Balmes – a fascinating documentary that follows four babies throughout their first year of life in four different corners of the world (San Francisco, Tokyo, Mongolia and Namibia). 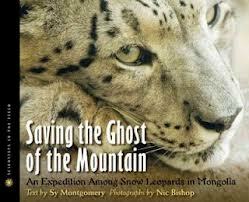 Saving the Ghost of the Mountain: an expedition among snow leopards in Mongolia, by Sy Montgomery – Kids will love the photographs and stunning story in this book, coming away with a deep appreciation for the endangered status of snow leopards and what is needed to save them. 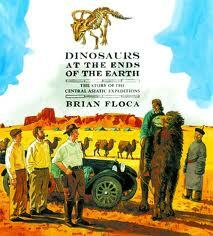 Dinosaurs at the Ends of the Earth, by Brian Floca – Beautiful watercolors bring to life the 1922 expedition by three explorers–Roy Chapman Andrews, Walter Granger, and George Olsen—and their team to uncover dinosaur fossils, which leads to the first discovery of fossilized dinosaur eggs, in Mongolia’s Gobi Desert. This one is for the mamas (and dadas) – my favorite discovery was The Secret History of the Mongol Queens: how the daughters of Genghis Khan rescued his empire by Jack Weatherford. 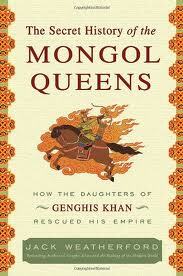 While I didn’t get to finish it, I found the first third a gripping revelation of the pivotal, powerful role that Genghis Khan’s daughters played in the establishment and expansion of the Mongol Empire. Their eventual downfall at the hands of jealous family members meant the demise of the empire. While the story gets ugly around the point I had to return the book, the first third unveils what for me was a surprising side of Genghis Khan – a champion of women (or at least his daughters). While sharing books for the adult readers in the family, here is a title I hope to pick up one day: Horse Boy: a father’s quest to heal his son by Rupert Isaacson. It’s about an autistic boy who blossoms beautifully once his father removes him from his Western life and he enters the world of the Mongolian horse. What are your favorite books or other resources for learning about Mongolia? Our Mongolian adventure continues with Part 2: The Mongolian Prayer Wheel, which includes a kid-friendly prayer wheel craft. Categories: Have Fun, World Citizenship | Tags: Book recommendations, Ger, Horses, Mongolia, Tender Sapling Travelers | Permalink.